Here's what I'm looking at so far. I would love some feedback and some ideas for the parts that I still need. I recommend this belt. I own one. I am very happy with it. (I recommend this to everyone, even just for generic jedi). my own belt looks like this. the same vendor also makes the leather pouch you need. woodman makes the ribbed pouches in all 3 sizes. I'm not sure if shoe polish will work on polyurethane. you might try flexible acrylic latex paint from a craft store instead; or 'vinyl paint'. 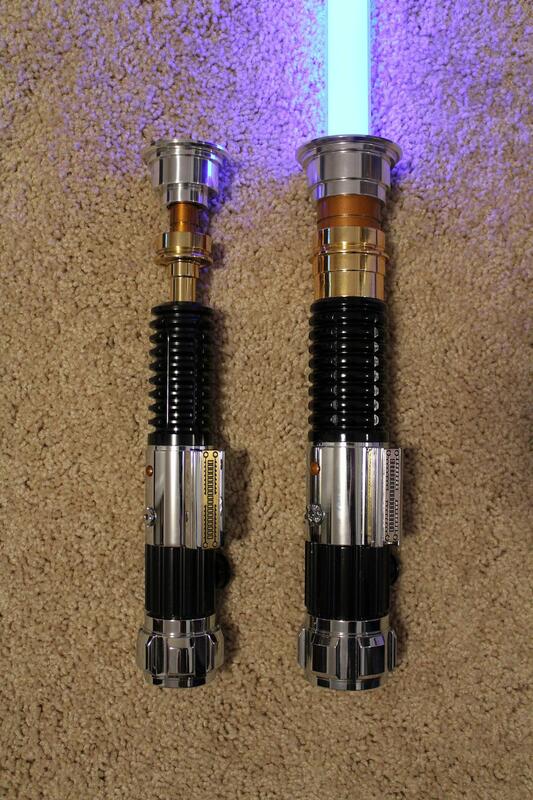 (note: this is ANH but if you contact the seller he might be able to make you a ROTS one instead -- and/or -- you might be able to convert this into a ROTS saber with a few modifications)? 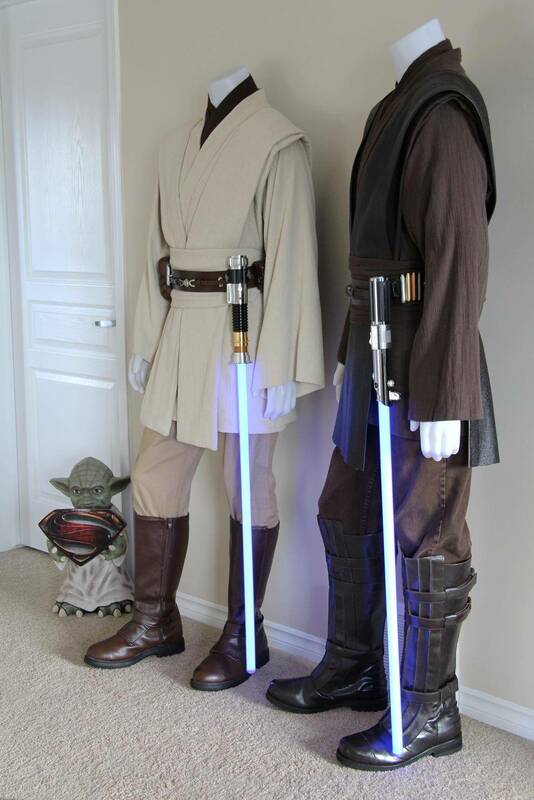 the Legion also accepts the hasbro black series (and/or Master Replicas) "Force-FX" lightsabers. the obi-wan hilt is not entirely accurate, but it is accepted. Added your suggestions for Belt and Pouch, and I already had contacted Woodman about the tall pouch. I haven't heard back; I hope he's still making them. 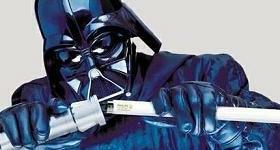 Do you know of any good references for identifying the RotS hilt? I've been searching the RPF, but no luck yet. I'd prefer to get a metal hilt with lights. and it has a covertec wheel on the side of the saber*, instead of the D-ring on the pommel (for hanging it off the belt). otherwise they are pretty much the same. the saber has a 'wheel' on the side, which slides into the covertec-clip. a few years ago, "eFX" made a resin cast version at the $99 pricepoint. I forgot to list it above, but I do already own a covertiec clip. 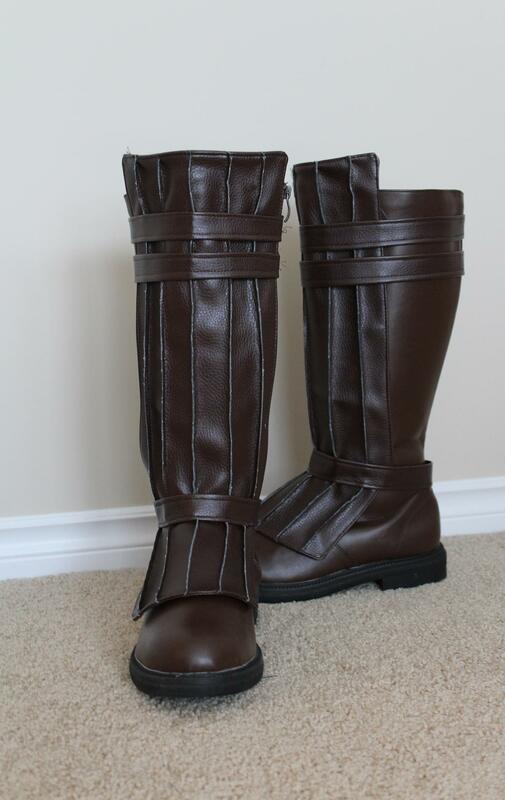 As for boots, zippers can be on the inside, right (preferably hidden)? I would like to find a boot that's a little closer, to begin with, If you have any suggestions. for boots, yes the zipper on the inseam of the leg is OK.
(the boots on my obi-wan mannequin, for example -- these zippers are fine). 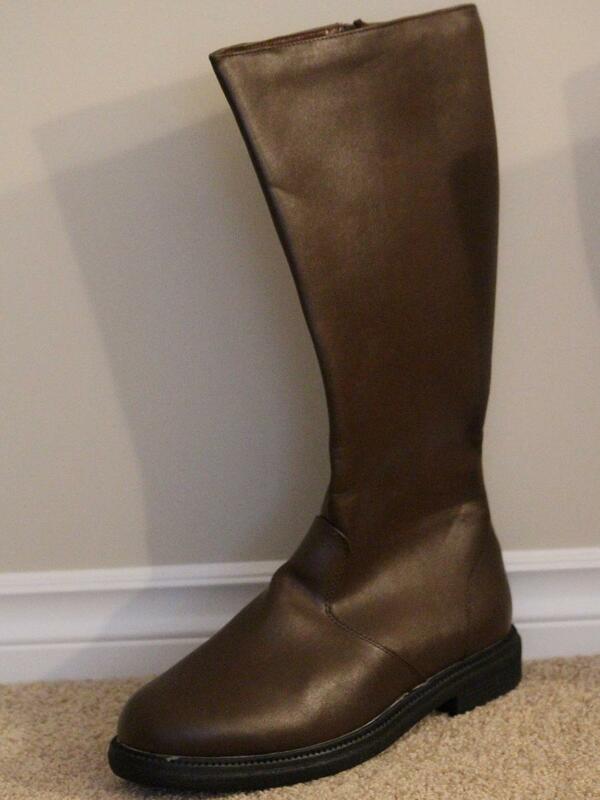 ^^ the boots on that mannequin are funtasma "captain 100" boots. I made the spats myself , from upholstery vinyl. this was a very easy modification. I didn't change the color of the funtasma boots at all. 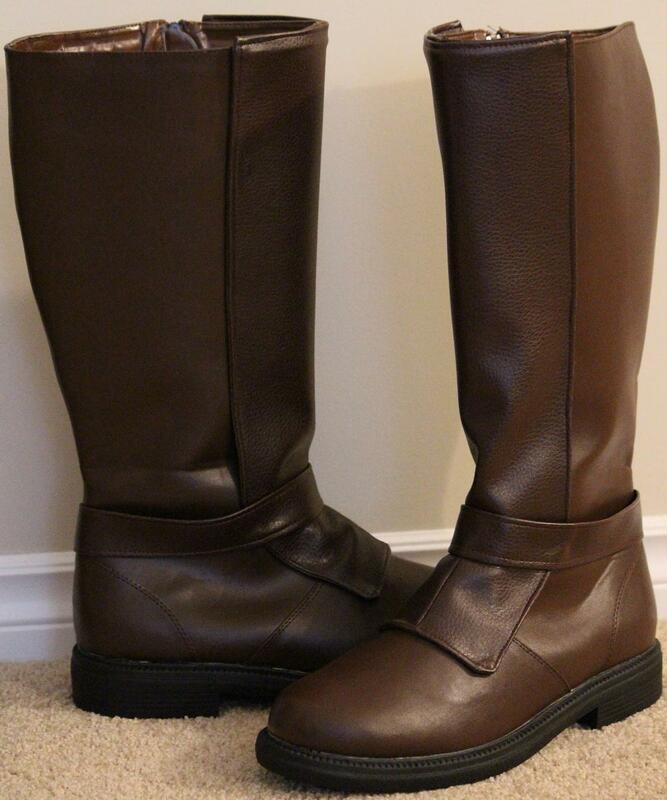 ^^ ((so basically: this was an $8 modification, to a $40 boot)). note: these mannequin pics of mine are quite old -- I have actually replaced these boots, with actual replica boots from "Museum Replicas" now. I can confirm the color is very close; and the Replica boots are about 2 inches taller. Also, this seems to be the best tutorial for the tunic, any other suggestions? yes that's the boot I started with. and yes thats the best tutorial right now. I would like to buy this belt and pouch, but it says it will take over two months for it to arrive. Any idea for a belt/pouch of similar quality but a bit closer to the U.S.? 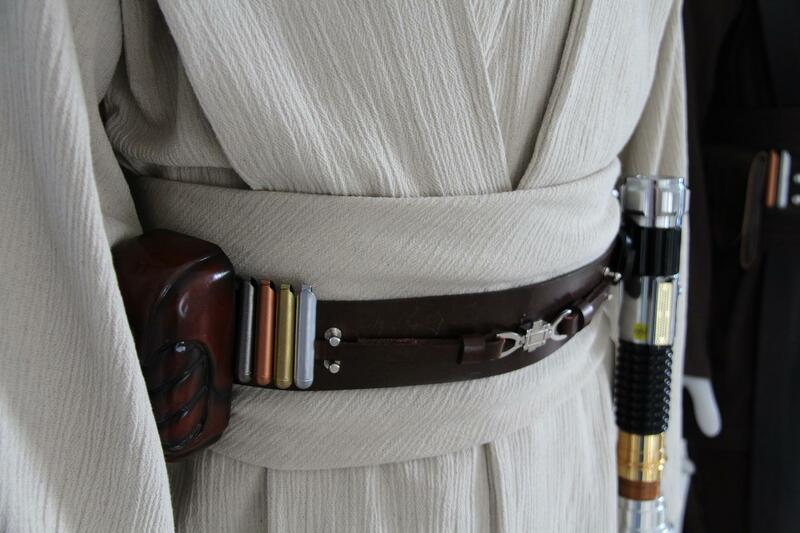 Dave @ saberbelt sells a DIY kit with everything you need, c/w correct buckle for obi-wan. 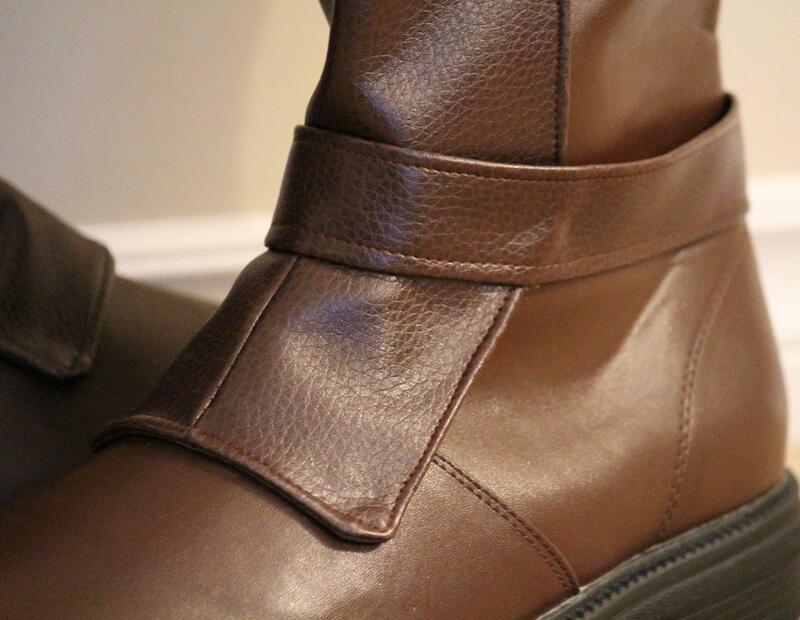 the leather is all pre-cut to the correct width. you just need to dye the leather and assemble the belt. Awesome! This was exactly the kind of solution I'm looking for. I imagine you bought the tall woodman pouch 'raw' so you could color-match with the museum replicas pouch. that's a good idea. Love how you did this. 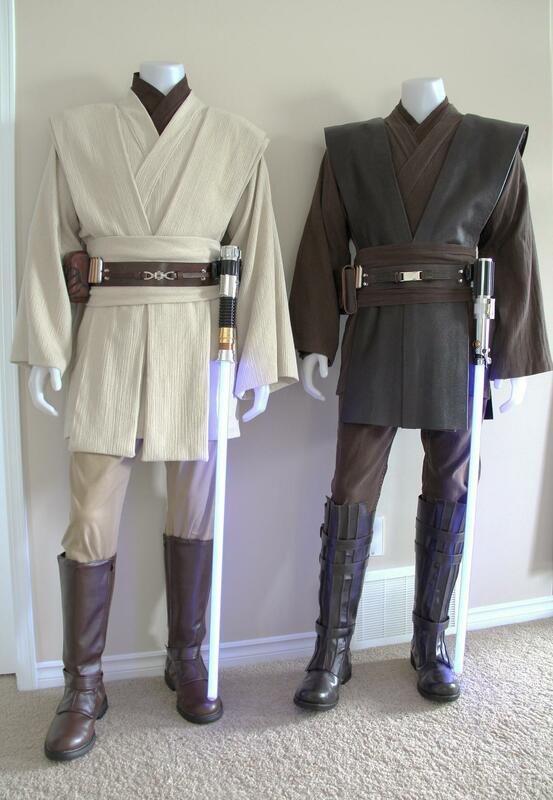 I'm going to attempt myself as the boots (as well as the lack of 2 pleats in my undershirt) were the two issues with my Obi-Wan Ep. 3. how did you secure the pieces to your boot? I assume you sewed the three flaps together and then glued them down? And just to be clear, there's no buckle on the horizontal ankle strap, right?